It’s normal to be nervous before a dental appointment. Fortunately, there are some things you can do to keep yourself calm and comfortable during your procedure. Watch this video and pick up quick tips for nervous dental patients. Many people suffer from dental anxiety, so don’t feel like you’re alone. Keep in mind that modern dentistry treatments are painless, and your dentist will do everything possible to keep you comfortable. Bring headphones so you can listen to music to drown out the sounds of the dental equipment, and let your dentist know about your concerns. The best dentists in NYC know how to keep their patients comfortable, which is why you should choose Park 56 Dental for dental bridges, fillings, or root canal procedure. Give us a call at (646) 783-3529 to make an appointment. Sedation dentistry can be a lifesaver for many people, but not everyone knows how it works. The best dentists will use sedation dentistry to keep patients comfortable and safe while they go through root canal or dental implant treatment. This kind option can be helpful even if you don’t have dental anxiety, so it might be a good fit for you. Here are the answers to some questions you may have about sedation dentistry. The best dentists can conduct sedation dentistry in three different ways: nitrous oxide, oral sedation, and IV sedation . Nitrous oxide is also known as laughing gas, and it involves wearing a mask to inhale the drug. If you use oral sedation, you’ll take a pill prior to your appointment to calm your nerves. 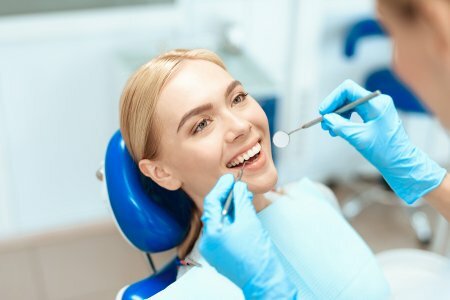 IV sedation is the easiest for your dentist to control as you go through the procedure, and it tends to be the best choice for people with extreme anxiety. As long as you work with a trained dentist, anesthesiologist, or other qualified oral health professional, sedation dentistry should be perfectly safe. You will need someone to pick you up from the office when your appointment is over, as you might not be ready to drive when the drugs wear off. 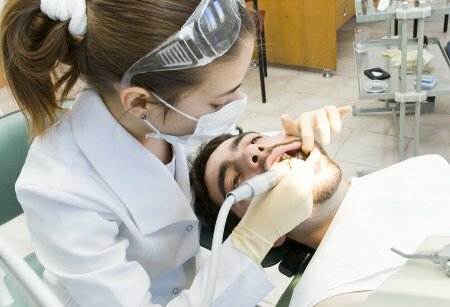 Dentists can also use a combination of the three sedation dentistry techniques to keep you at an optimal level of comfort. Sedation dentistry is an excellent choice for people who suffer from dental anxiety, but it’s for other people as well. If you have a busy schedule and can’t get into the dentist’s office as frequently as you’d like to, you might opt to go through multiple treatments in the same visit. Spending so much time having dental work done can make even the calmest people antsy, but sedation dentistry makes it a cinch. If sedation dentistry sounds like it could be helpful or you have more questions about the process, please call Park 56 Dental at (646) 783-3529. Our team is made up of the best dentists in NYC, and we offer dental cleanings and smile restoration services. If your teeth are chipped or cracked, or there are gaps between them, your dentist might recommend porcelain veneers . They can wear down over time if you don’t take care of them, and they’re more likely to fail sooner if they weren’t fitted properly in the first place. Read on to learn about porcelain veneer replacement. Veneers will last a long time if you take care of them, but they’re not invincible. They also don’t make the tooth immune to decay, even though the veneer itself isn’t susceptible to cavities, and gum disease can still cause the gums to recede and show a gap between the gums and veneers. If you suffer a trauma to the face from a sporting accident or you have a habit of chewing on hard objects, you run the risk of chipping or cracking your veneers. Sometimes people end up needing to replace their veneers because of the way they were initially placed. If something feels wrong right away, communicate with your dentist. Poorly sized veneers can cause pain and discomfort, which isn’t normal in a typical veneer treatment. If your dentist doesn’t apply your veneers the right way, they can also fall off and need to be reattached. When you work with the best dentists in the area, you shouldn’t have to deal with these problems. It’s important to take proper care of your veneers, no matter how many times you have had them placed and replaced. Don’t chew on hard objects or use your teeth to open packaging, and take proper care of your oral health. Brush and floss every day, and use a mouth guard to protect your teeth when you play a sport. Are your veneers in need of replacement? Park 56 Dental can help. We’re some of the top dentists in New York and we handle teeth cleaning, dental fillings, and dental implants in addition to porcelain veneers. Give us a call at (646) 783-3529 for more information. Not everyone has an easy time seeing the dentist, even if it’s the best dentist in NYC. Some people get anxiety when they have upcoming appointments, and these people may benefit from sedation dentistry . Watch this video to find out what oral sedation is. Unlike nitrous oxide, oral sedation should last for about two to six hours. All you have to do is take a prescribed pill before heading in for your procedure, and you’ll experience less pain and anxiety during your treatment. You might not fully remember the treatment once it’s over with, which can be good for those who have moderate to severe dental anxiety. Call Park 56 Dental at (646) 783-3529 if you’re in need of sedation dentistry near NYC. If you want to work with some of the best dentists in NYC, don’t forget to give us a call or stop by our offices to meet with us.